NIC issues 4,000 plus orders demanding disclosure of information - Integration Through Media ....! Kumar Chaulagain, KATHMANDU: The National Information Commission (NIC) has issued 4,764 orders in four years. Chief Information Commissioner Krishna Hari Banskota and commissioners – Kiran Kumar Pokharel and Yashoda Devi Timilsina- issued the orders since 2015 till date, according to the Commission. The orders were issued in the name of all ministries, secretary and first class office-bearers, federal bodies, 180 political parties registered in the election commission, and Nepal Rastra Bank, among others. 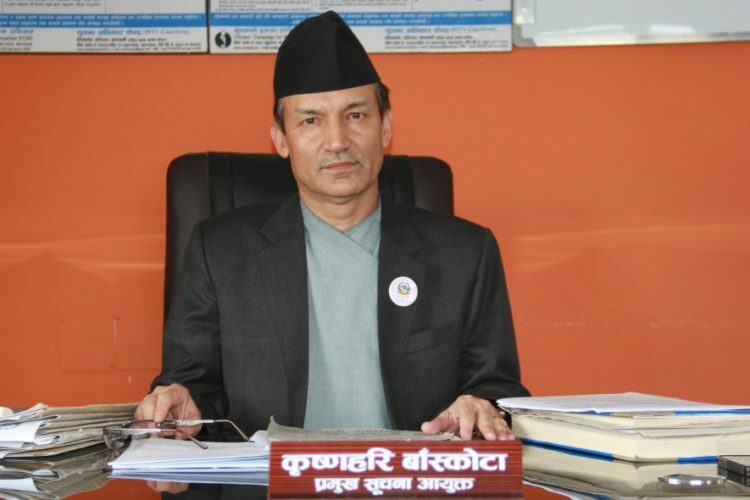 Similarly, the three-point order was also issued in the name of seven provinces, 753 local levels and 22 federal training centres, said Commissioner Kiran Kumar Pokharel. Out of 777 complaints filed at NIC in 2071/72BS, 765 were settled, while out of 678 complaints filed in 2072/73 BS, 674 were settled, according to the commission. Likewise, the NIC was able to finalize 494 cases out of 497 complaints in 2073/74 BS while 1,175 cases out of 1,176 filed in 2074/75 BS.